Saturn is the second largest planet of our Solar System, easily identified by its distinctive rings. 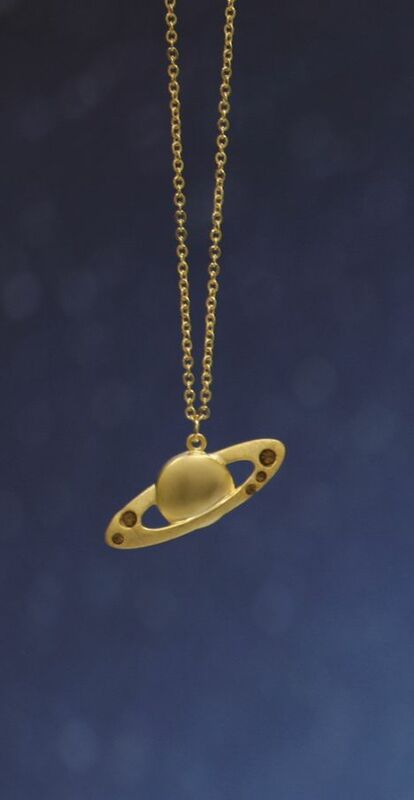 This Sora Necklace captures the magic of the ringed planet. Features brass coated design with cubic zirconia accents. Chain is approximately 16".